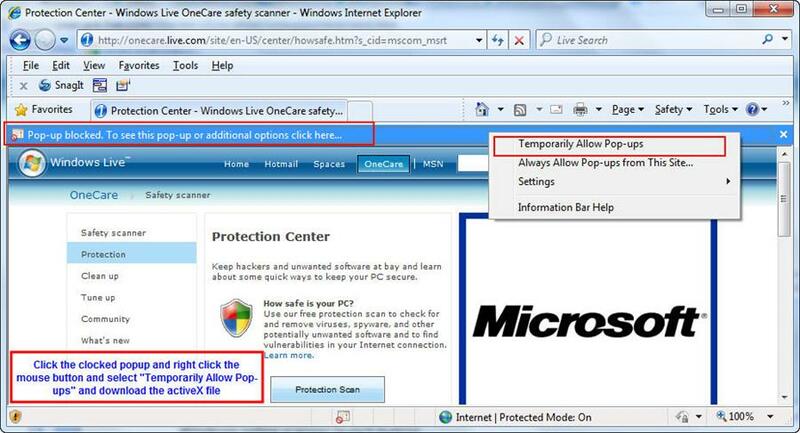 using Malicious software Removal Tool. A Malicious software or Malware is a program that will load in to the computer without any traces. Once the Malicious software Removal Tool is identified and removed the malware from the system and it will give a detailed report on the malware. Microsoft will release the updated version of the tool on every second Tuesday of each month. It is a good practise to use the tools periodically to identify threat to the computer, even though the computer is running fine. It is advisable to get the updates frequently from Microsoft in order to identify the new threats as new viruses and threats are identified each and every hour. You can reports a new incident to Microsoft. The supported operating systems are Windows XP Home Edition, Windows XP Professional, Windows 2000 Professional, Windows 2000 Server, Windows Server 2003, Windows Vista and Windows 7. 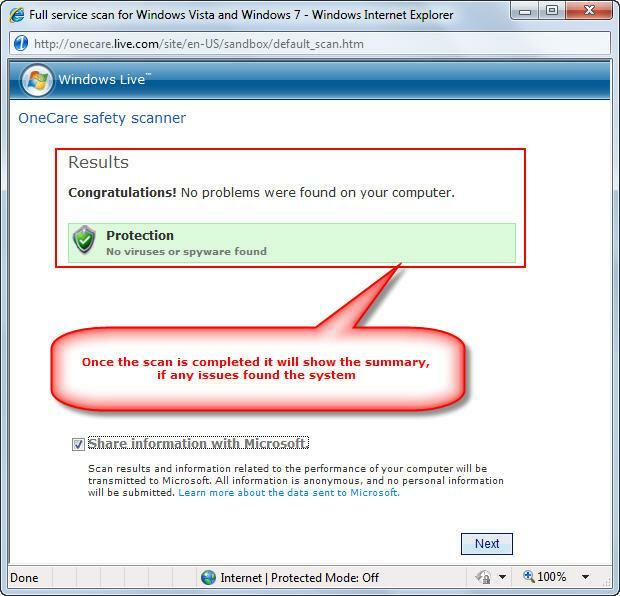 Internet Explorer with 6.0 or higher version should be installed in your system to download the scan your computer. 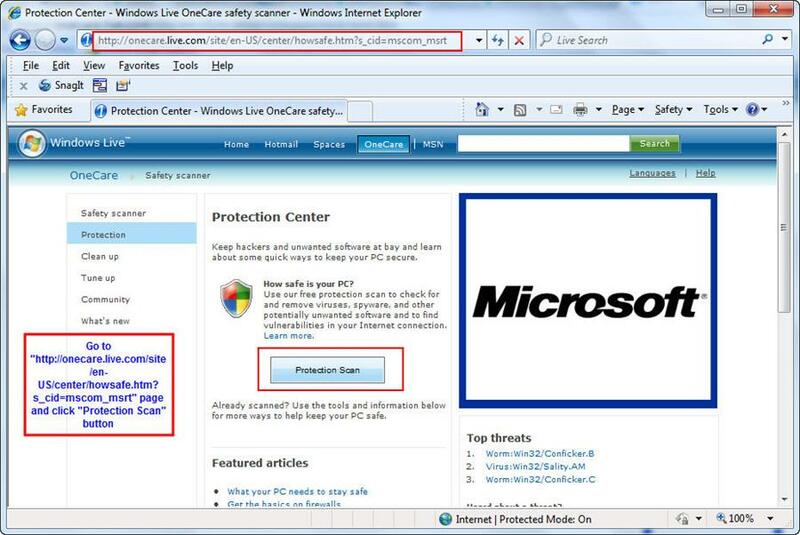 Scanning your system can be done online from without installing the malicious software Removal Tool from Microsoft. 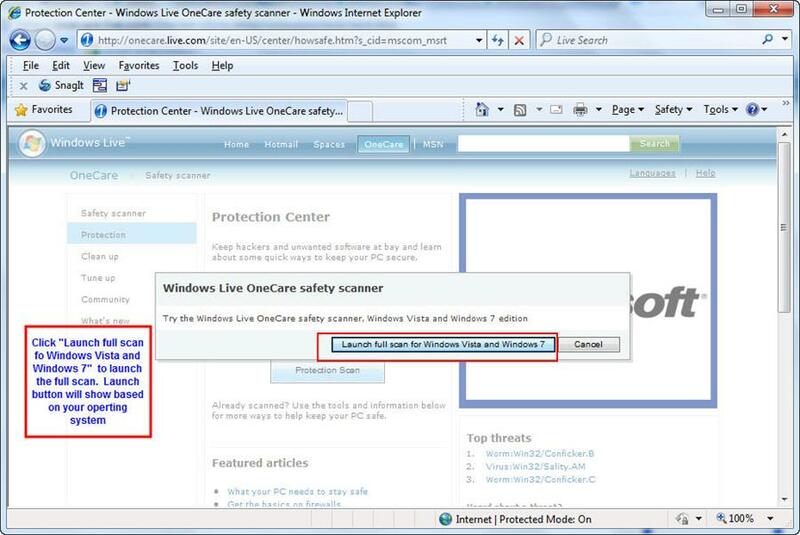 It will open the protection center and it will show a Protection Scan button (Check the below screen shot). 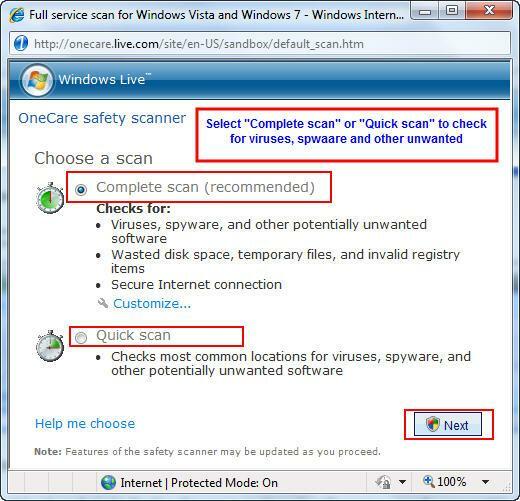 UAC should be disabled in order to do the run the OneCare Online Scanner to scan the system. In order to disable the UAC type msconfig in the run prompt and it will open a Window and click the Tools and select change UAC settings and click the launch button and move the slider to the bottom and click ok to disable the UAC. Once the UAC is disabled then you need to restart the system to apply the changes. 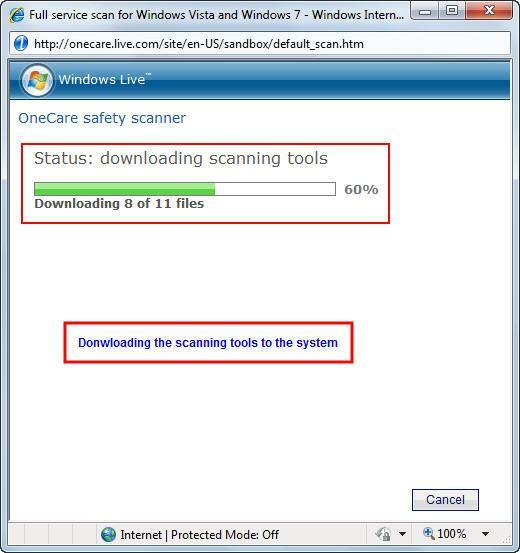 Once the entire download is completed it will start the scan and it will identify the virus, malware and spyware from the system and it will remove the threats from the system. It will report the summary of the scan. This article talks about a trick that you will not discover all over the Internet. It tells you a legal way out using which you can use a trial version software for as long as you wish in Windows Operating System.